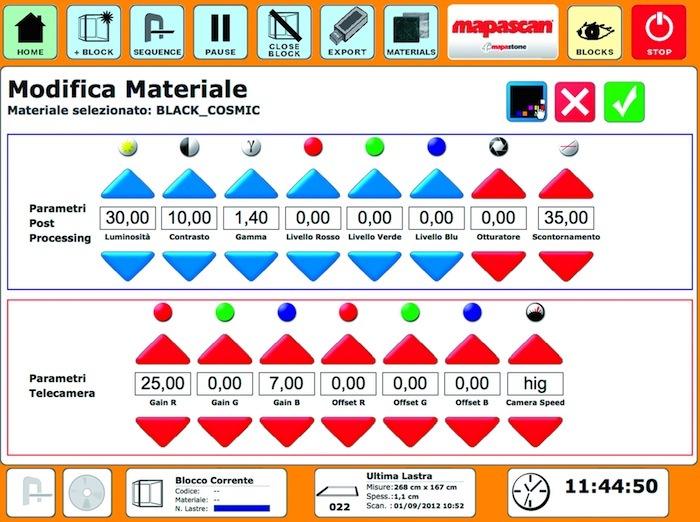 All operations for scanning slabs are made quick and easily by the touchscreen user interface. Drawing with one finger is enough to track a defect. The measurements of the slab are automatically taken out and linked to the image.